Its mostly open hillside so good visibility and plenty of space - no conflicts with hikers. I suppose the ultimate goal could be to build a world class downhill, maybe even right from the top of Tai Mo Shan - 500m descent - that would be really cool. Last edit: 5 years 11 months ago by econbus. Yep, exactly what me & Ernst were thinking - actually planned to scope it Sunday, but weather was shite ... soon, though. There's some Rotary park path (mostly steps) following the approximate route, would be good for accessing the track for construction / races. Another thought - what about building a completely new trail on the other side of Route Twisk, perhaps starting at the car park where the barrier is and running down towards Route Twisk near Chuen Lung Village. That would allow shuttles or All Mountain riders to ride back up. By the way, here's a map of the trails I rode in college - where they have something like 20 miles of trails in 2 square miles of city park. This is what "stacked loops" are all about. Yes, the dotted blue line is what would connect the Helipad to Tin Fu Tsai. Our friendly Singaporean consultant has in fact looked at it, and yes it is doable, but as you say the length is quite a challenge. In the meantime, what may really help most is a switchback / crossover to bring you up from the contour to Tin Fu Tsai. As for the 'loop' near the entrance, this is certainly something that would add value for intermediate riders, and we may also consider doing it on the northwest side, rather than the southeast as shown. Yes, stairs have no biking sign but foot traffic is very low. The hillside below the forest track has some decent areas for trails but not sure about whole length. needs looking into. The stairs on the bottom left of your map, presumably these are the ones currently with the no biking sign right? -What follows is a steady descent of about a kilometer back to the existing Ho Pui trail coming out on a right fork just before the landslip or left fork onto the existing trail further down. This sees few if any hikers and provides a safe entry (although somewhat abbreviated) to the Ho Pui DH & TMS down to Tai Lam trail. Here's a map showing the forest track and existing trails in country park. Also shows a little bicycle for MTB trails. Blue line is new entrance, hashed line is what I was trying to explain. "..paved park road..." is called Forest Track...the section we are talking about is called "Forest Track - Twisk Section" if I recall correctly. You can have multiple link ups with the contour trail from the forest track but will be short blasts. The longer AM trail can go all the way to Tin Fu Tsai begginer trail or proposed new Tin Man. Ive included a blank map if any body wants to use it. Last edit: 6 years 4 days ago by Pk101. Oh BTW, some priorities we may want to consider in proposing trails [in no particular order], all of which are important, but feel free to add anything, rank them, etc. Not sure what you mean by the forest track and stairs ... the easiest climb back to the top is going to be back the way you came, via the new entrance. Or like I did this morning, hike-a-bike up the old stairs next to the big rock. 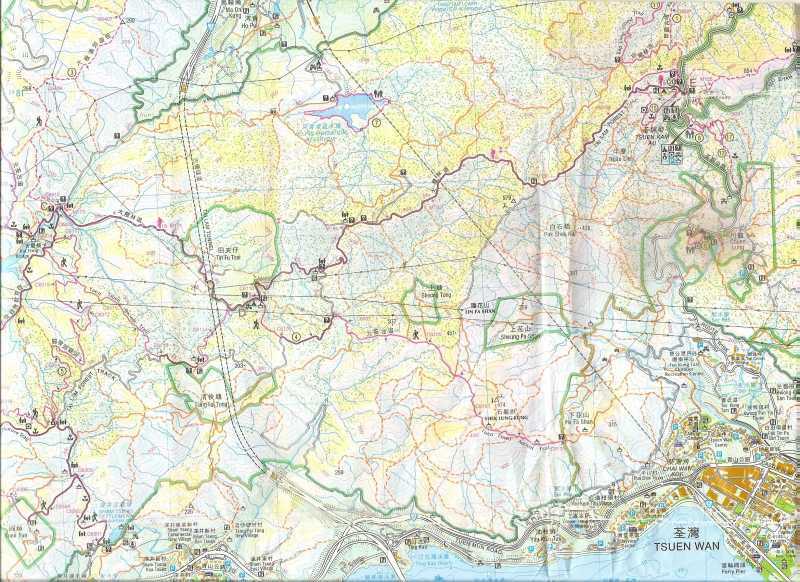 But we do need an exit other than the contour / Ho Pui DH, for intermediate riders who want to shuttle, and given the Country Park boundary, it's gotta be somewhere on Twisk. Got any map pics of what u mean for the blue loop?